Oh wow, it looks great. Thanks! & so it seems to be getting the promotion as well. The new guide looks sleek and I'm sure it's going to attract more users by giving more confidence. - "For technical reasons Linux Mint uses ubuntu as its EFI boot name." 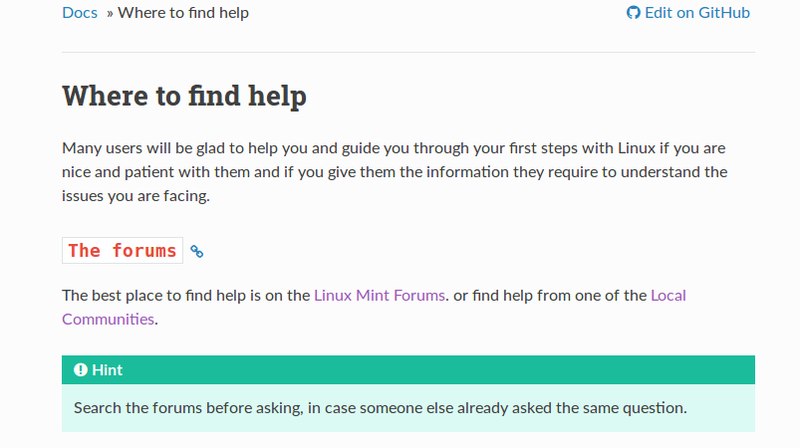 but in the screenshots and the explanations, there is a boot entry called "linuxmint". This is a bit confusing. Edit: I made a fork on github, added the changes mentioned in the second bullet above, plus added a link on how to disable secure boot, and created a pull request. Feel free to rewrite it if necessary. Last edited by fabien85 on Tue Dec 12, 2017 7:52 am, edited 1 time in total. Nice piece of work everything under hand reach. One thing I miss is the reference to the local forums ? Last edited by Gruppo Sportivo on Tue Dec 12, 2017 2:30 pm, edited 1 time in total.